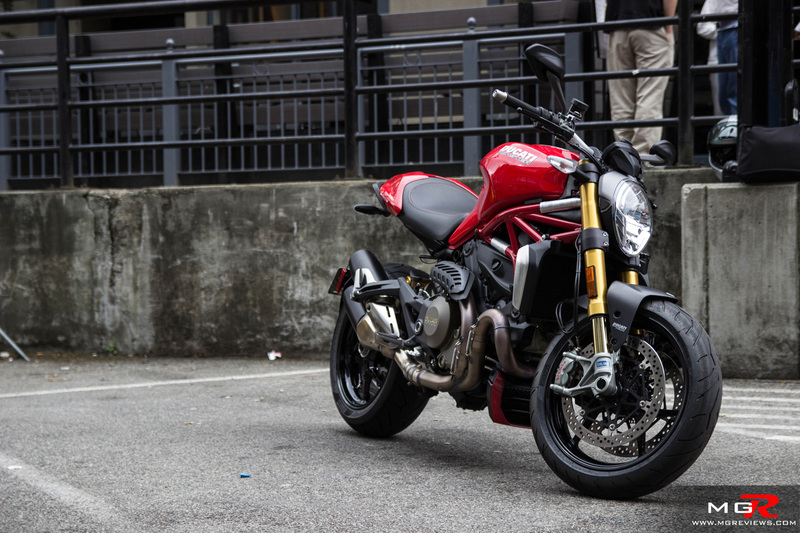 The Ducati Monster is a naked style motorcycle that has been in production since 1993. In that time it has grown in popularity by leaps and bounds thanks to its simple design, ease of customization among tuners, and most importantly riding characteristics. 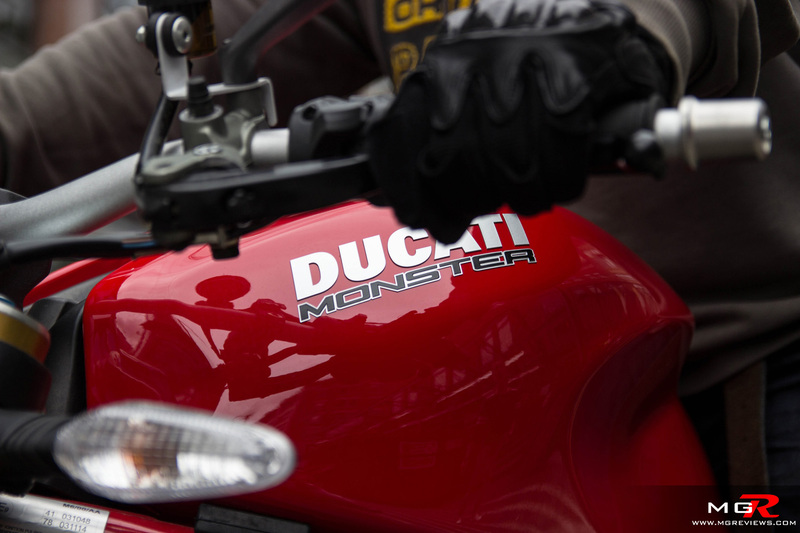 Now in 2015 the Monster has been updated with the latest technologies to keep it competitive amongst the competitive and crowded naked bike market. 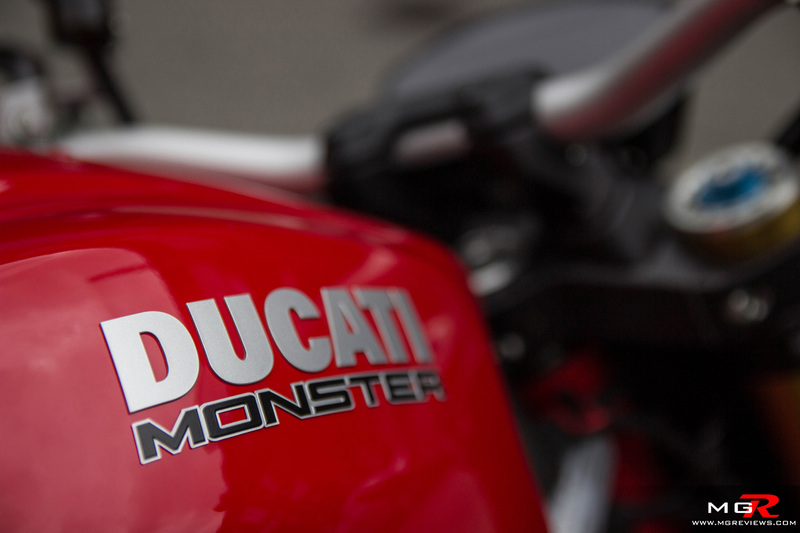 Performance – Since its introduction, the Monster was always built with an air-cooled L-twin desmodromic engine. 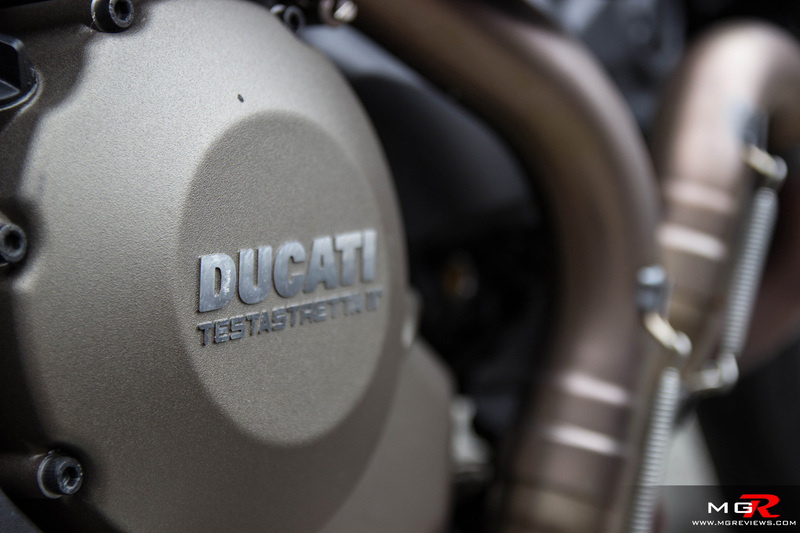 But for this current version, Ducati used the new water-cooled Testastretta 11° DS motor that was first introduced in the Multistrada. 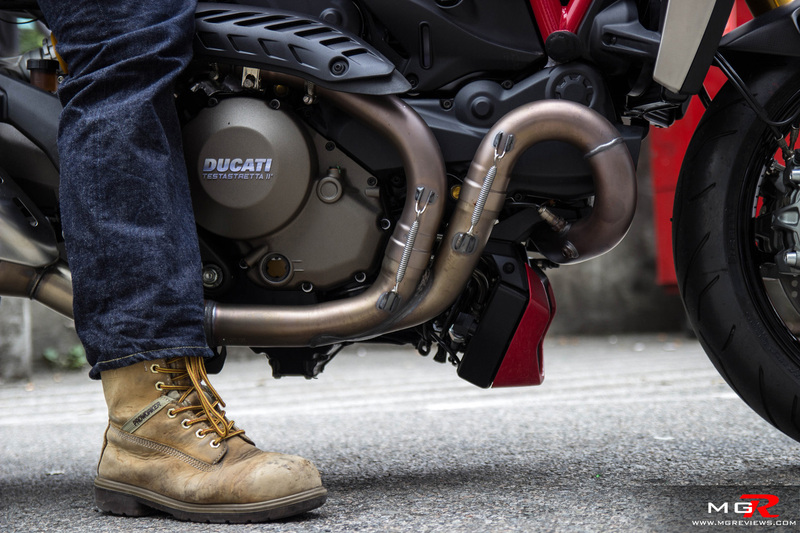 Ducati’s decision to opt for a water-cooled engine in the new Monster was in part to improve performance and also usability in any riding conditions. The 1198cc engine produces 135hp and 87 lb-ft of torque but this “S” model bumps those figures to 145hp and 92 lb-of torque. 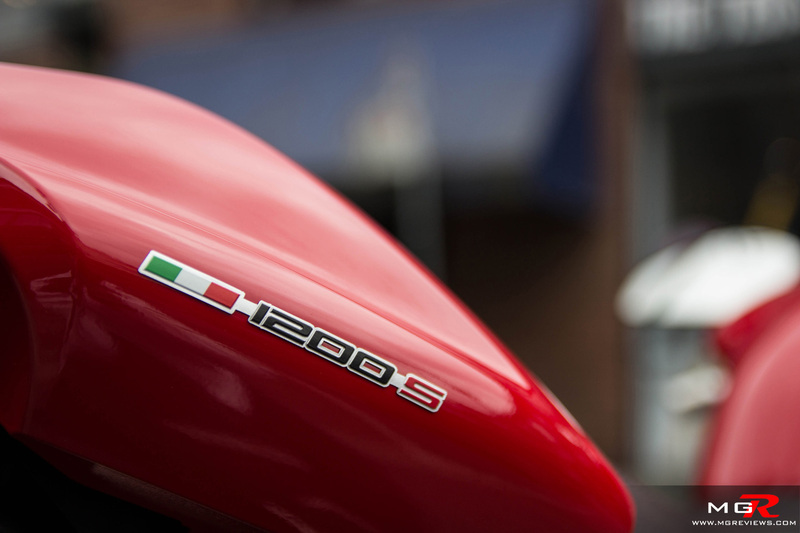 Like most other Ducati models, you feel the power and torque of the engine as soon as you begin to twist the throttle. The sweet spot for this new engine is around the 5000-8000rpm range with peak torque being just before 8000rpm and peak power just after that magical number. 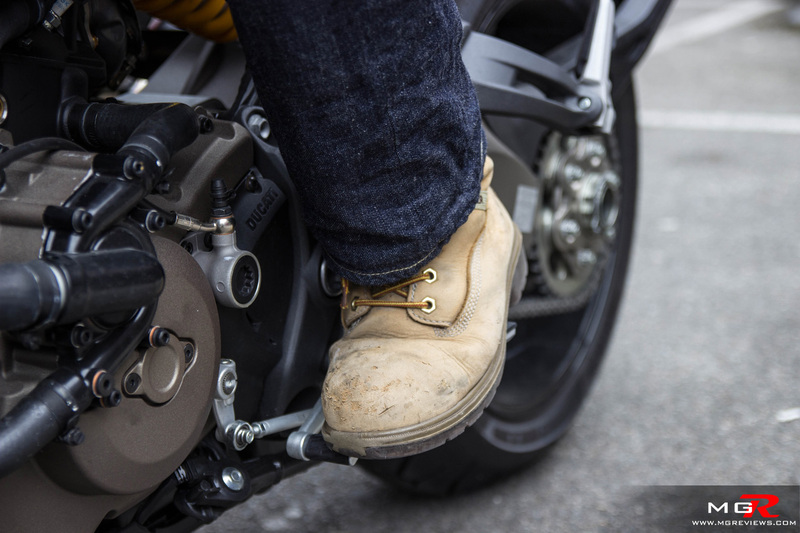 Every time you open the throttle in the sweet spot, the handle bars begin to feel lighter as the front tire starts to skim the pavement rather than rolling on it. 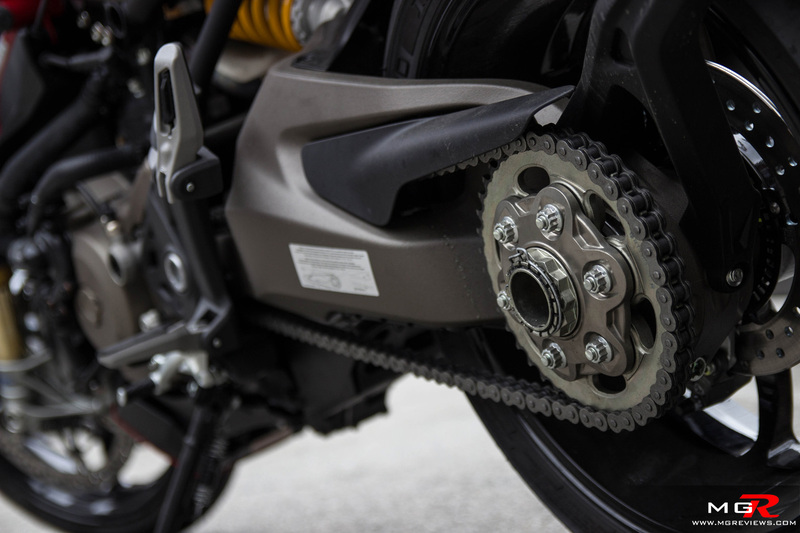 However you don’t need to worry… too much… about the rear wheel slipping because the Ducati Monster comes equipped with adjustable traction control. 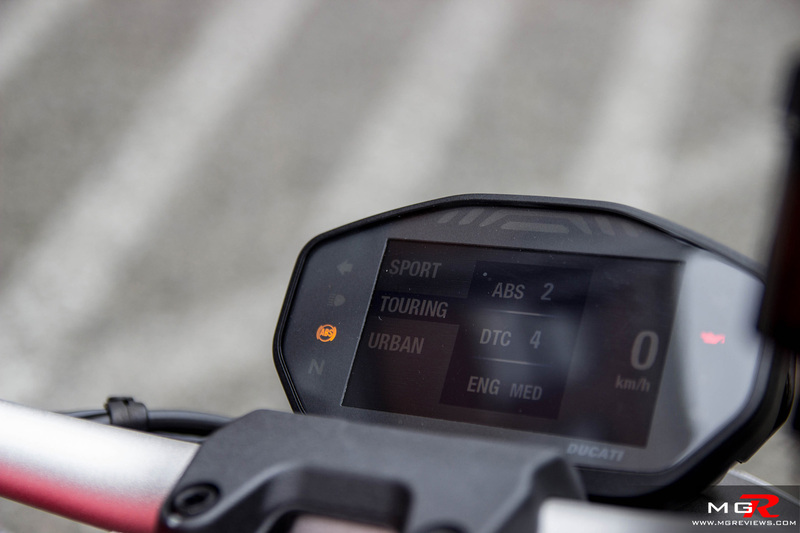 The system is part of Ducati’s latest Ducati Safety Pack (DSP) that includes ABS and 3 riding modes. In sport mode, the throttle response is at its sharpest setting and traction control and ABS are at their lowest settings. This mode lets you explore the full potential of the Monster with minimal intrusion from the electronics. In touring mode, traction control and ABS are slightly increased in sensitivity and throttle response is a bit “lazier” for smoother on/off application when riding on city streets. Urban mode tames the Monster by limiting power to just 100hp while traction control and ABS are at their most intrusive settings. 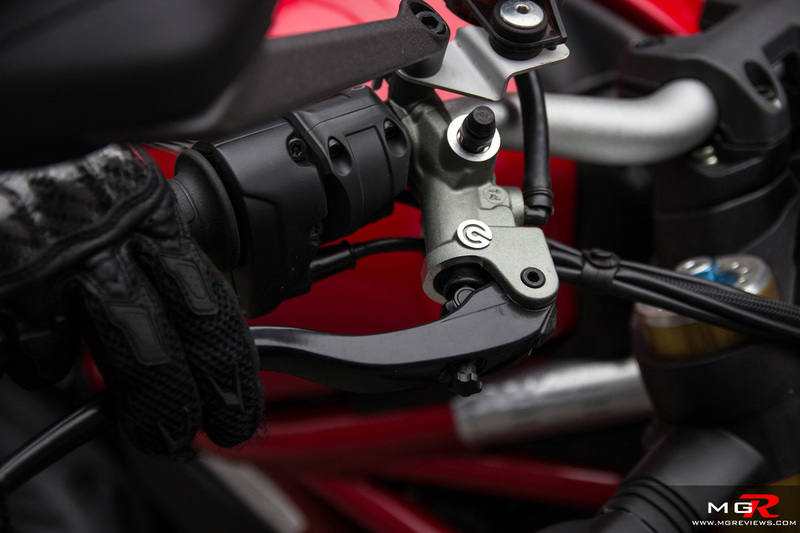 Changing between the three modes is a simple push of a button but Ducati could have made a dedicated button for it rather than using the turn signal switch. 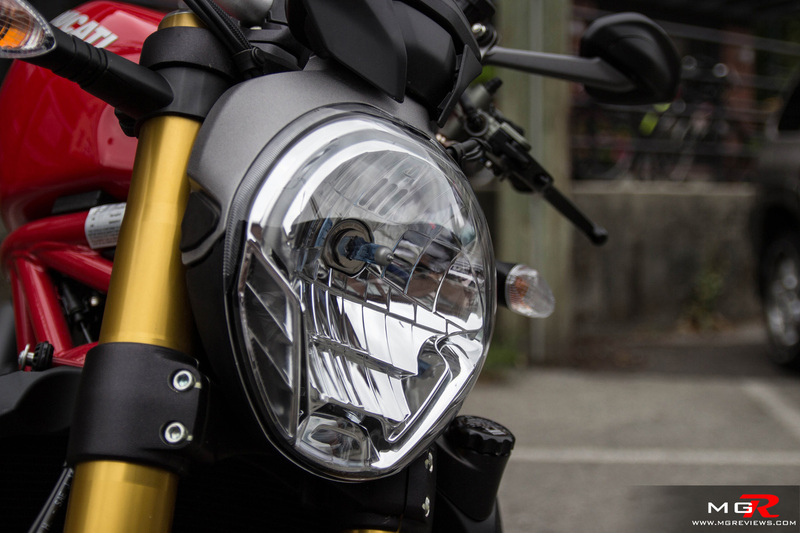 Some riders (myself included) like to press the turn signal switch twice to make sure that the signals are off but in doing so on the Ducati Monster, you enter the ride mode options menu which stays open for approximately 5 seconds. That may not seem long but the menu prevents you from seeing your speed and tachometer. Also to switch between the different ride modes, the throttle has to remain closed for a few seconds which means that you can only switch modes when you’re coasting or stopped. 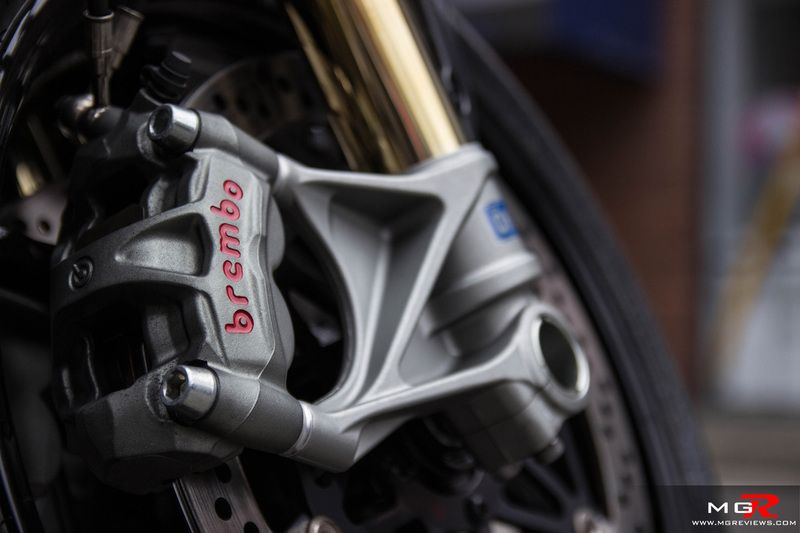 Speaking of stopping, the Ducati Monster 1200S is equipped with twin disc Brembo monobloc calipers that are straight from the Panigale superbike. 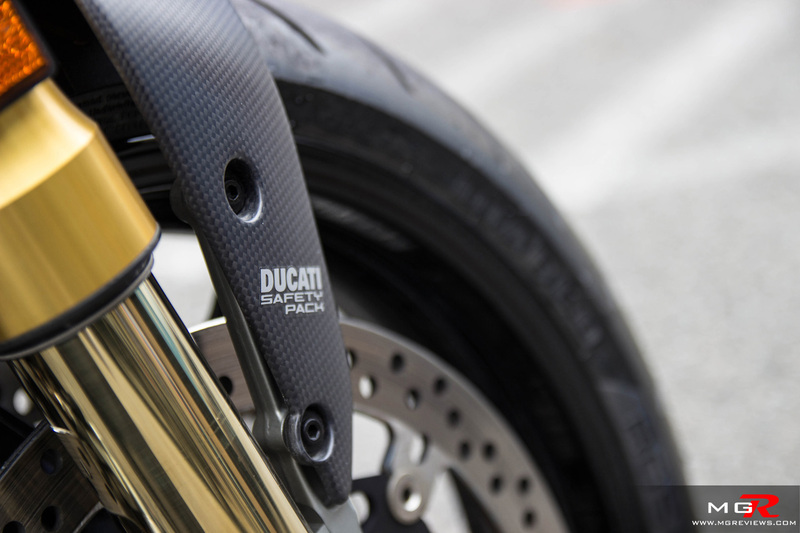 The braking force is ferocious with initial bite being very strong and Ducati claims that this “S” model stops 19% quicker than the standard Monster 1200 model. When ABS begins to detect some slip, you hardly feel the system intervening as lever kick-back is almost non-existent. 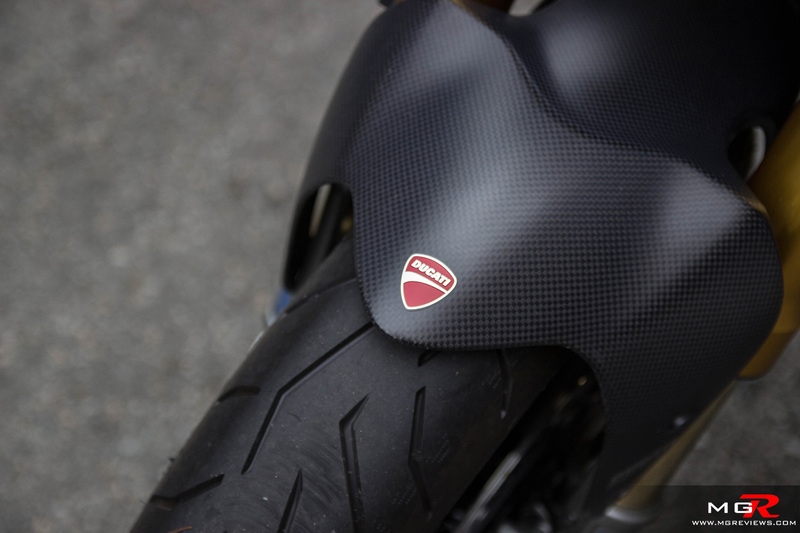 Through turns the Ducati Monster corners with confidence and poise like its superbike brothers. If anything, the wide handlebars and slightly rear-biased weight distribution make for very quick steering and turn in. I found myself sometimes turning in too soon for a corner but adjusting mid-corner for a better line does not make the bike nervous. However around slow speed corners or intersections, taking a turn in the Monster can be a bit tricky. 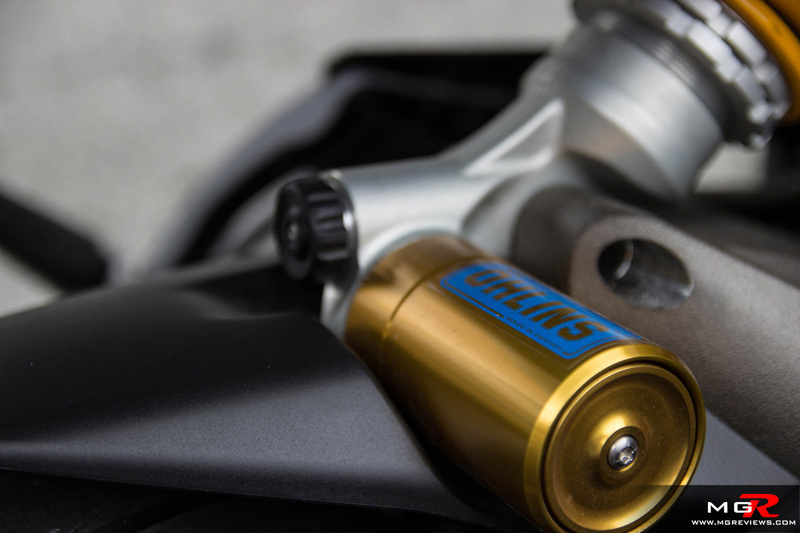 The quick steering coupled with the jerky nature of an L-twin engine at very low rpms can make for an unbalanced and uncomfortable feeling bike. Comfort – The ride of the Monster is supple enough to absorb bumps and potholes yet firm enough to provide a good feel of what the tires are doing when speeding around a corner. 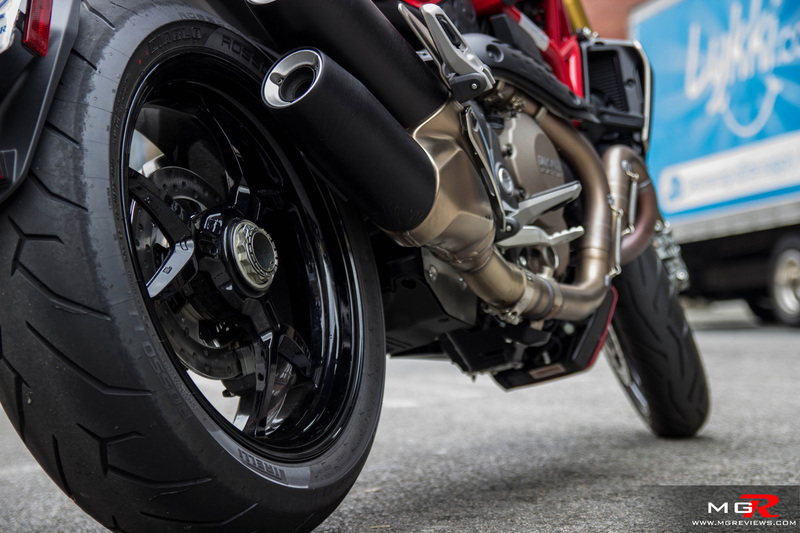 The standard Monster 1200 comes equipped with Kayaba forks in the front and shock in the rear but the 1200S is fitted with Ohlins suspension front and back. This new generation Monster was also designed with rider comfort in mind. 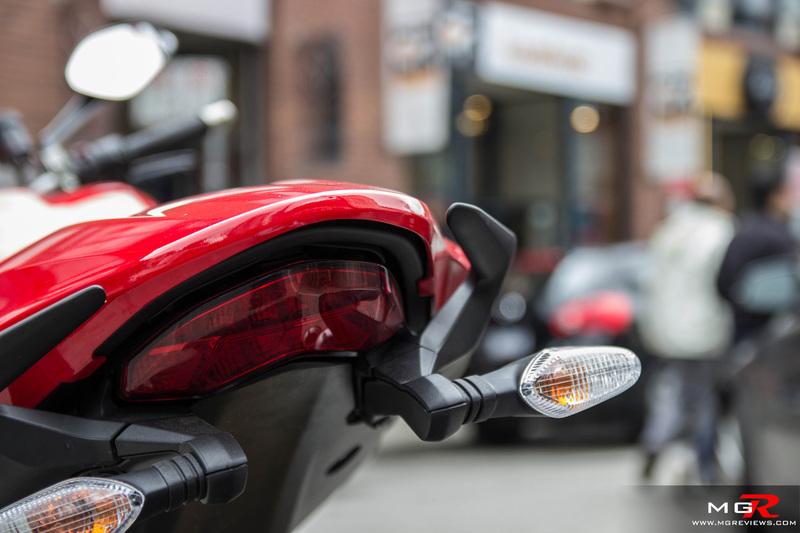 The handlebars have been raised by 40mm for a more upright riding position. Also the seat features more padding and is height-adjustable to better suit the rider’s height and riding position. One area where the Monster is not very rider friendly is the exhaust. It’s not the noise of the exhaust that is the issue, while it is a loud and invigorating noise; it is the placement of the upper pipe that is the issue. When you’re stuck in rush hour traffic, the heat from the exhaust will make your right leg medium-rare to well-done. The heat is unbearable when the bike is not moving. 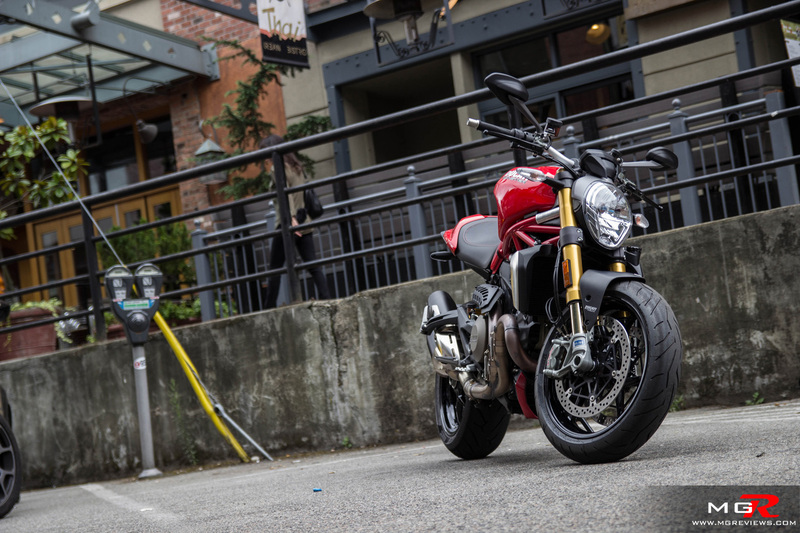 Odds and Ends – While Monster purists may not like the changeover to a water-cooled engine and the infusion of electronic aids, the fact is that the new Ducati Monster 1200S has better performance and handling characteristics over the previous models. It also manages to keep its Monster looks even with the addition of carbon fiber trim pieces and superbike inspired wheels and frame design. It is a very good day-to-day riding motorcycle that will turn heads and provide endless enjoyment for all riders while still keeping the Monster character and thrill of being a modern day Ducati. Thank you to Richmond Ducati for providing the motorcycle.